Stress. We all know it, right? As graduate students, it can feel like we are constantly trying to escape these feelings of stress and anxiety. However, it turns out that anxiety can, in fact, be adaptive in some cases! One of the most prominent examples of stress impacting our everyday lives, in my opinion, is test-taking. Although graduate school in psychology entails a significant amount of writing, the general impression is that tests and exams are more stressful for students. Exams are necessary for our education, unfortunately. All the way from a simple quiz in statistics, to comprehensive exams, and of course — the EPPP. Research has shown that there is a fine line of how helpful anxiety and stress can be before it becomes detrimental. That seems to be most clearly demonstrated in the performance of students on exams. There is an amount that serves us well, even though it can be uncomfortable. Like all good things, though, too much stress causes a sharp drop in performance. In this blog, we’re going to go over the myriad of ways that stress can be both a help and a hindrance when it comes to test-taking. After we go through all the ways that anticipating stress can be good and bad, you can decide for yourself what the ideal balance of anxiety is for you. Naturally, the negative aspects and experiences associated with stress pop to mind first. The most obvious of the undesirable characteristics is the discomfort we feel . Who enjoys feeling stressed out? The nagging feeling that you’re forgetting something? The threat of failure at your chosen graduate program? I didn’t think so. I’ll venture to say that there is not one among us who would enjoy the feeling of that stress. Wanting to escape that feeling is enough of a downside for some people to avoid anything stress-inducing altogether. A second drawback to anticipatory stress (the stress that we feel when anticipating a real or imagined negative stimulus) is that it can actually ruin your day ! Even if that even that you were dreading doesn’t come to pass, research states that you will have a more difficult time laying down new information and retaining information throughout the entire day . The research agrees that your long-term memory will remain fine, there are still heavy impacts caused by even working memory impairments. These can range from careless errors on a report to taking the wrong medication! Finally, an overrepresentation of anxiety and stress can even lead to a condition known as “cortisol poisoning” . According to biopsychology, there is a specific neurotransmitter released when we feel “stressed out”. This neurotransmitter is called “cortisol” . This neurotransmitter was evolutionarily adaptive for primitive humans to analyze potentially threatening situations and to give us the energy to get out of there or fight back, should the need arise, aka our fight-or-flight response . Our ancestors were able to make snap decisions better and to tune into only the most relevant infomration. Although this can be adaptive in some situations, it is a very short-term benefit . The human body can only maintain that state for a short while. When you are under the constant level of stress that puts you into fight-or-flight mode, you wear out fast—which leads to the state that we mentioned earlier: cortisol poisoning . Even though the negative things about are often the first to show up in our minds, there are important positive aspects to stress that should be equally considered. Anticipatory stress can actually improve our performance on exams. One author  suggested that when we have a major stressor upcoming, such as an exam, we engage in more preparatory behaviors. This simply means that when we’re worried about an upcoming exam, we are more likely to spend time rehearsing the information, committing the information to memory, and truly understand the information. Stress and anxiety can be a good motivator to study ahead of time. Usually, stress or anxiety stems from some sort of unknown—such as the unknown outcome on an exam. When we are uncertain of something, we are usually motivated by the search for certainty. One way this can be achieved is, again, through studying. Long before the deadline or the evening before, if we are worried enough about our performance, it is likely that you will be studying in advance to alleviate the anxiety . Remember the fight-or-flight response that we talked about earlier as a con to stress felt before a big exam ? That same response can be adaptive as well ! I know it sounds like a contradiction, but think about it—when you feel that surge of adrenaline that signifies a reasonable amount of distress prior to an exam; you are more focused, you are able to make decisions more quickly, and you tune out the irrelevant input more easily . In sum, you are in an ideal state to take that exam! In conclusion, some stress is a good thing. But remember, only some! There is a trap that often ensnares graduate students: that you need to constantly be stressed out or worried about the next impending exam or paper. Make sure to monitor your own stress levels and not to allow them to become toxic! As we discussed, having a fire is good—just don’t get burned! Redlawsk, D. P., Civettini, A. J., & Emmerson, K. M. (2010). The affective tipping point: Do motivated reasoners ever “get it”?. Political Psychology, 31(4), 563-593. Have you figured out your learning style? Have you aligned your study plan to coordinate with your learning style? If you grasp new information better through seeing it, then your learning preference may be visual. As you continue to understand the three learning styles, this article will focus on everything you need to know as a visual learner. What is a visual learner? A visual learner is someone who likes to see what they want to learn. The space that is created by visually seeing information aids in the learning process. The term for this is visual-spatial learning. If you like to see concepts written out versus hear about them, you are a visual learner. Your ability to see how the information looks helps you absorb the material and memorize it. Just because you are a visual learner doesn’t mean that you don’t include other learning styles such as auditory or kinesthetic. The goal is for you to identify the best way you learn the material then align your study plan to match it. Make lists to help you learn or stay organized. Find it useful to write out your thoughts and ideas. Prefer reading material and study guides versus listening to audio recordings of the same information. Find it helpful to highlight, underline, or make notes in your study guides. Re-write information you have learned. For example, you re-write lecture notes. Write things down. Whether it’s a term or process, be sure to write it out. Utilize flashcards to help memorize and understand the material. Watch videos that cover the concepts and theories you are learning. Visualize critical concepts as symbols, acronyms, or picture. For example, in learning systems, draw a diagram or image to represent it. Arrange your notes in an outline. There are many more tips, techniques, and strategies available for visual learners. Don’t waste your valuable time on a study approach that isn’t tailored to your individual need. Now that you know the power of being a visual learner make studying easier by learning about the Taylor Study Method. This is a research-based package that helps each of the different learning styles. The Taylor Study Method is especially helpful for visual learners because it offers video lessons for deeper dives into more difficult content. It also provides Flash Cards to aid in over 750 key terms. You want to do your best, pass your exam, and take the next step in your career so be sure to get the right support through the process. You know that term paper is due soon. You’ve got to get your client documentation ready for the audit. You need to study for your EPPP licensure exam next month. So why are you struggling to get started on all that work? For nearly all of us, procrastination, or the act of delaying things, is a part of life. Even when we’ve experienced success getting things done in the past, the desire to put something off can strike any time. Depending on the situation, procrastination has its positives along with ways it makes life harder. Normal levels of procrastination offer us unexpected benefits, while chronic, severe procrastination can cause us harm. Here’s a rundown of the good, bad, and ugly ways procrastination impacts our lives. You’ll be more creative and insightful. Have you heard the saying “your first guess is usually right?” Studies show that this often isn’t correct, and it’s better for us to take time to process to make the best decisions. Appropriate levels of procrastination gives us additional time to generate new creative, innovative ideas and for our subconscious to generate materials and solutions. You’ll learn time management and productivity. Procrastination doesn’t always mean doing nothing. While procrastinating one task, you might well be getting another one done. This is where the joke comes from that students clean during final exam prep; for many this is true! Through procrastination, we can develop time management skills, such as when to prioritize what tasks and what’s ultimately most important. Your health can benefit. Surprisingly to many, typical levels of procrastination benefit your health. Procrastinating sometimes can help you relax, reducing your stress and have lowered anxiety. A great part of procrastination is that we can all be reassured that doing it sometimes is healthy and normal. You might be predisposed to it. Ever wondered why your classmates or colleagues procrastinate less than you? The answer is in your genes. Research suggests that those of us who score high on impulsivity are inherently more likely to chronically procrastinate. If this describe you, you’ll need to work extra hard on prioritizing to keep your procrastination at healthy levels. It’s harder to progress. Regular procrastination helps us prioritize, but procrastinating chronically means we’re getting stuck by not getting things done. Or we’re getting the wrong things done by cleaning when we should be studying. Avoiding critical tasks will keep us stuck in a rut, a self-defeating behavior that makes us unable to move forward in ways important to our life. You might feel worse. Students who procrastinate chronically feel worse about themselves, studies show. You’re more likely to temporarily feel worse about yourself after a major episode of procrastination, particularly for something important like a test. To mitigate this feeling and reduce your likelihood of severe procrastination again, practice self-forgiveness. Your work quality will decrease. Chronic and serious procrastination often results in lower quality work than we otherwise would have done. While some people believe they do their best work at the last second, research shows in reality this is rarely true. Students who chronically procrastinate also tend to receive lower grades. You’re ultimately creating more work. By putting off work in extreme ways, we make work pile up and, in the end, must produce a product with more effort than through proper schedule. And in many cases, we’re not just hurting ourselves. Last minute procrastination often means our classmates, colleagues, or loved ones are picking up slack, adding to their work and potentially causing feelings of resentment. It could harm your mental health. Chronic procrastination can have potentially serious consequences to ourselves. Severe procrastinators experience more stress, lower self-worth, perfectionism paralysis, and more illnesses. Ultimately, repeating this pattern regularly can lead to clinically significant episodes of depression and anxiety. Feeling worried from procrastination related to your test? You don’t need to stress out any longer. Taylor Study Method has got your back with exam prep materials that will get motivate you to prepare to pass. We’re honored to be your trusted study partner. Viewing the EPPP in the right light to take the exam properly. The EPPP (read: “E-triple-P”). The dreaded EPPP. I know I have made my best efforts to ignore it. Even so, it still looms in my future. And, dear readers, I assume it looms in your future as well. However, the Examination for the Professional Practice of Psychology does not need to be such a terrifying concept for us. What is the EPPP, again? The EPPP is currently a one-part exam. However, there is a second part being developed at this time—and it is intended to be launched in January of 2020 [4, 5]. So, for those of you who will not be taking the exam for a couple years—heads up. The current form of the exam is intended to assess the basic and foundational skills necessary for early career psychology professionals to thrive on their own . The second part of the exam is intended to examine the more practical skills needed to be a competent psychological professional . It is anticipated that the EPPP Part 2 will assess the following areas . Having a thorough and solid knowledge of psychology. Ok, this one seems like a no-brainer. But still, many people are surprised about the breadth of information that needs to be mastered (or re-mastered) in order to be successful on this exam. Sources show that the information being covered in the exam covers practical things learned in experiences as recent as your internship to (seemingly ancient historical) concepts covered in some introductory undergraduate psychology courses . Naturally, we all have those courses that we excelled at, and those classes that were a little more challenging. It is important to identify early on in your study process what you already know well and what could use a little more work . Look through some study materials and practice exams in order to figure out what you know best and what needs to have the most of your attention. We’ll talk a little more about prioritization later in this post. Another idea that might seem obvious, but nevertheless needs to be said. There are some unique aspects to studying for this exam. It is recommended that you start studying between 4-6 months before the exam ! Of course, this is no the absolute correct amount of time for everyone to study—there have been accounts of people studying for as much as a year prior to sitting for the exam and as little as just two weeks before the big day . 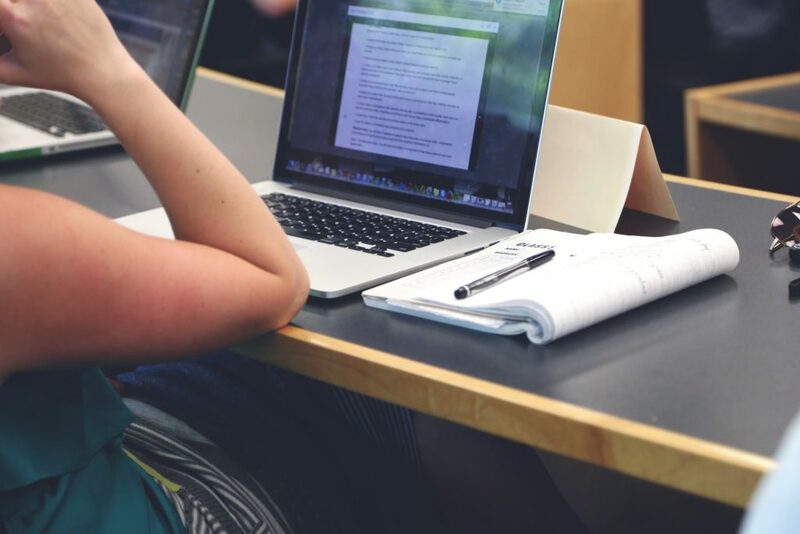 Although there isn’t an absolute when it comes to how much to study, too much is almost always better than too little when it comes to studying for the EPPP. I encourage you to set a schedule of studying for yourself and stick to it. Too often when it comes to studying, procrastination is able to sneak in and rear its ugly head. I know I’m guilty. Fear not! Because in this situation, knowing this about yourself can be quite helpful. Of my acquaintances and friends who have taken the EPPP, most who have been successful have started slowly and escalated their studying as the test date approached. Most told me that if they had studied the information months in advance, they feared they would forget it before the test arrived. Reach out to people in your cohort! Meet people in Facebook/social media-based support groups (might I suggest the search terms: “EPPP support”) ! Try for people in your professional organizations! Ask your friends, family, and loved ones! What about online forums, like The Student Doctor? Even if you feel like you typically study better alone, it might serve you to have someone with whom to go through this . Isolation only serves to further the anxiety that you will inevitably have over this exam. Find an accountability partner, even if they’re not going to be sitting for the exam. This was something that I used quite frequently in undergraduate. Find someone who will harass you or at least gently ask you whether or not you have been following through on your study goals. Because I am such a procrastinator, I needed someone who I would feel guilty telling that I put off studying or that I fell behind “because I had plenty of time”. If you think this might work for you, I highly encourage it! Like I mentioned above—one of the major keys to this exam is knowing what you don’t know . Once you know what you don’t know, you’ll know what your weak points will be on the exam. Taking a practice exam to really illuminate those points may help . Focus a majority of your time on the topics that you are less familiar with, or ones that you weren’t able to complete successfully on the practice exam. That doesn’t mean to entirely ignore the concepts that you did well on. Make sure to keep those in your study routine as well. It is important to ensure that you don’t just replace the information that you had under your belt at one time with other information. Also, keeping information in the mix that you already have mastered has been shown to be reinforcing (thank you, behaviorists), and therefore keep your study sessions a little less dreadful. It is also important to do research on the topics and percentages of the EPP that they will occupy . Try to prioritize items that fit into categories that will take up the largest portion of the EPPP . Use Professional and Commercial Study Tools. Seriously. This one isn’t just a plug for our own study tools. Professional organizations that are dedicated to helping students pass licensure exams often have the inside track on what is going to be relevant to this year’s particular EPPP . Overall, it is important to remember that there really is no definite answer to how, with whom, or how long to study. You know yourself best. And give yourself a little credit—you’ve made it this far in your educational career, trust what’s worked for you. I know you’ve studied. I know you’ve memorized everything there is to know from personality disorders to practical applications of theory. Nevertheless, your intelligence and competence won’t be demonstrated on the exam without a good strategy for taking the test . Have a methodology to approaching the exam questions. You’re an aspiring scientist as well as clinician, right? Plus, I’m sure you remember those research and scientific methodology courses. This is just an extension of your scientific approach. Having a solid strategy will help you make the most out of the information that you studied and make sure that it is reflected well on the exam . It is a timed test, but that doesn’t mean that you should try to answer everything as quickly as you can . With some break time factored in to the 4 ½ hour time allotted for the exam, you will have about 55 seconds per question —so take your time! Taking your time on the questions will actually help you save time, as you won’t need to go back and re-read questions in order to get what the question is asking you . I know you’ve heard this before, and I know that it is printed on the exam itself, but it is extremely important that you read the questions on the EPPP carefully . Many of the questions are written trickily. Several questions involve difficult language or double negatives, intended to trip up people who aren’t paying attention . This goes back to what I was just saying—take your time and make sure you really understand the question. Go with your gut . Studies and statistics show that 80% of the time, the first choice that you make on the exam is the correct answer . I know that it is tempting but try not to second guess yourself. Remember all that studying you did? Trust yourself—you were right the first time. And of course, if you really don’t know, just take a guess! That’s right, ladies and gentlemen, on this exam it’s in your best interest to guess! . On the EPPP, you only get awarded points for correctly answering questions; you are not deducted points or penalized for getting an answer wrong . Making educated guesses at questions when you are not certain of the answer is an important test-taking skill on the EPPP. Educated guessing is not random. The first step in doing so is eliminating answers that you know are wrong. On the EPPP, you will be presented with four possible answers to questions . The more answers that you are able eliminate, the more likely you are to get the correct answer. Another important tenet of educated guessing is identifying and utilizing contextual clues . Being able to pick out any particular theories or psychologists that are being noted in the question may help direct you to the correct answer . So, we’ve talked about study skills and test-taking skills, but one of the most important skill sets you can have is time management (both for the EPPP and aside from that). Naturally, with graduate school and all the responsibilities that you need to juggle for it, I’m sure that you have developed some excellent time management skills. Even still, you need to develop a special set of skills for this exam. First, as I mentioned before, you are in charge of your own 4 ½ hours to take the test . That means that you can take it as slowly or as quickly as you would like. You can spend as much or as little time on each question as you would like. You are permitted to take breaks when (or if) you would like. Since you know yourself best, it is recommended that you develop good stopping points for yourself during the study process. Since I recommend taking as many practice exams as you can get your hands on, over time in those practice exams, you will start to notice where the natural breaks are for yourself. I encourage you to take what you need to help keep your mind on track. Still, I want you to be mindful that this is still a timed exam, and therefore you will need to keep the countdown in the forefront of your mind. AATBS has already developed a suggested time table for taking the EPPP—feel free to check it out. According to this schedule, you have about 55 seconds per question. To me, just because it is expressed in seconds, it sounds like an extremely short time. However, really think about how long a minute is… pretty long, right? Plenty of time to slowly read the question and think about what it is really asking you. Often times, we end up getting stressed out and rushing through questions faster than we need to. Remember, part of managing our own time is knowing how much time should be devoted to a particular question. If you know it right away, great! More time for the rest. If not, no worries! Take your time, read slowly, and utilize some of those great test taking skills we talked about earlier. Secondly, developing a time schedule for studying is also imperative for success on the EPPP . As I mentioned previously in the study habits portion, if you are like most graduate students (myself included), procrastination is your forte. In order to combat this to the best of our ability, experts have recommended that you set up a realistic study schedule for yourself and make every effort to keep it—notice that “realistic” is emphasized here. Anyone can make a study schedule, but if you’re not even close to on track with it, what good is it doing you? Being able to anticipate some of the daily life struggles and still plan around them with time to study is going to be a key to your success at this exam. Finally, learning how to manage your stress for this exam is also important. What good are you going to be come test time if you’re so stressed out you can’t even remember your name? With all this planning going on, it’s easy to get overwhelmed. One major strategy that I suggest to combat this anxiety is getting connected. Like I mentioned before under “get a study buddy.” Reach out to people over Facebook, over the internet, in your cohort, in study groups, etc. Anywhere where you can get some support and somewhere to vent—take it! You’re going to need some outlet from all this stress. Another excellent strategy is having a routine—and sticking to it! If you already have a pretty set routine, try to work your study time into that routine. Don’t upset your whole life just for the exam. Sure, it’s going to be a major piece of your vocational career, but it isn’t something that should make you hate everything else leading up to it. Do you work out regularly? Do not give that up! Exercise has been shown to be a great stress reliever. And some studies have actually shown that keeping a regular exercise routine in place can help you do better on exams. No matter what it is, find something that can help you escape the stress of this exam. It’s a major stressor in your life, and for many is the last major obstacle before you get licensed and embark in the world of psychology on your own! Anything that can help you escape that pressure will be a welcome relief—trust me! Calm down. It’s going to be fine. More than 80% of students who prepare and take the exam pass on their first attempt—so the odds are in your favor . Even if you do not pass on the first go, it’s not the end of the world. It is simply a licensure exam, this doesn’t say anything about your intelligence or who you are as a person. You’re a graduate student. You’ve taken a million exams before. You’ve made it this far. What’s one more? You know what works for you and you know what doesn’t. Now, get out there and crush it! Are you studying for the EPPP again after yet another failed attempt? Or perhaps you’ve failed your practice exams time and time again. Are you ready to start succeeding? The short solution to being successful is this: quit cutting corners. It’s time to take an honest look at your current study strategy and perhaps trade it in for something better. Although success does not come without sacrifice, it will be worth it when you receive that passing score. First, assess your current studying situation by answering the following questions. Do I want to pass the EPPP? Have I failed the EPPP at least one time? Do I often skim through study material rather than read the whole thing? Do I feel like I don’t know where to begin with studying for the EPPP? If you answered yes to one or more of the above questions, take these next three steps. If you’re not currently enrolled in a professional study program, look no further. There is a reason TSM candidates have a 96% first time pass rate. Our program is customized to assess where you’re at, what your timeline is, and how you learn best. Email us at contact@taylorstudymethod.com or give us a call at 877-510-5445. At TSM, we take what we know about your timeline, your initial assessment, and learning style to deliver you an efficient and effective study schedule with 1-hour study sessions. The schedule is unique to you, so it will be easier to stick to. Whether this means you find a study partner or join a study group, it is important to have the support of people in the same boat as you. They will be there to encourage you, hold you accountable, and help you understand concepts and vice versa – two brains are better than one! Furthermore, TSM offers coaching sessions to objectively look at where you are and how to improve. Ultimately, a passing EPPP score is yours – you just have to come get it!